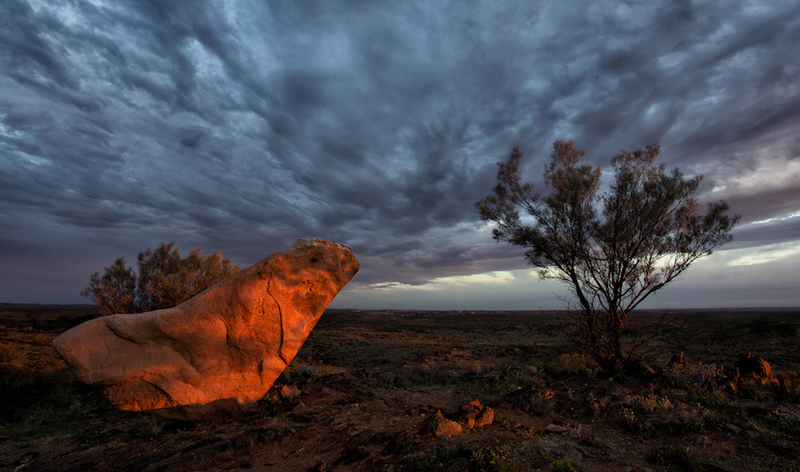 One of 12 sandstone sculptures in the Living Desert Reserve, Broken Hill, NSW, Australia. Image by Craig Gibson via Flickr Creative Commons license. The town of Broken Hill, New South Wales, will have something to shout about in the new year. The state government has given the green light to Perilya, a privately owned mining company, to restart the North Mine, which last operated in 2008 and was mostly closed in the 1990s, ABC News reported on Thursday. The mine is expected to produce in early 2018 and will create 140 jobs to reach deeper deposits. According to a project page the North Mine Deeps resource contains 3.7 million tonnes at 11.3 per cent zinc, 13.5 per cent lead and 219 g/t silver, making it one of the highest grade deposits in the world. "The North Mine has a mine operating plan that takes it out to 2032," general manager Bruce Byrne told ABC News, who added it will probably be four to five years before the North Mine can generate profits on its own. The mine is expected to generate up to $5.8 million in royalties to the state for up to 25 years. The news is a turnaround from March of 2016, when Perilya announced up to 100 jobs at its Southern Operations mine would be shed due to low metals prices. Perth-based Perilya currently has two producing mines: Broken Hill, which mines lead and zinc, and Cerro de Maimón, a copper-gold mine in the Dominican Republic. The company manages 1,042 square kilometres including mine leases incorporating the Southern Operations, the North Mine, the Potosi Trend, and the historic Little Broken Hill and Pinnacles areas.